It's been a such a long time! 2012 is gone, and hopefully I'll get to ride more this year, so be prepared for some sesh reports, business as usual. The 2013 season is around the corner, and to begin ramping up the stoke, here's a picture that Mike sent me today. 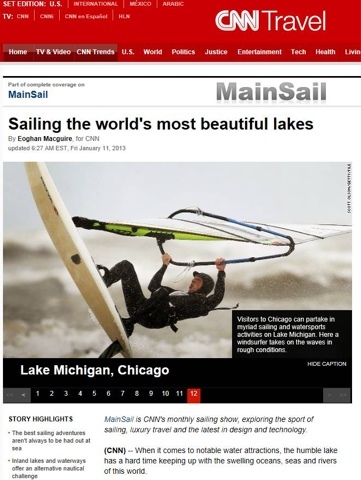 Apparently windsurfing has not been cancelled on Lake Michigan.